Evolution and learning are two different forms of adaptation by which the organism can change their behaviour to cope with problems posed by the environment. The second form of adaptation occurs when individuals exhibit plasticity in response to environmental conditions that may strengthen their survival. Learning has been shown to be beneficial to the evolutionary process through the Baldwin Effect. This line of thought has also been employed in evolving adaptive neural networks, in which learning algorithms, such as Backpropagation, can be used to enhance the adaptivity of the population. Most work focuses on evolving learning agents in separate environments, this means each agent experiences its own environment (mostly similar), and has no interactive effect on others (e.g., the more one gains, the more another loses). The competition for survival in such settings is not that strong, if being compared to that of a multi-agent (or shared) environment. 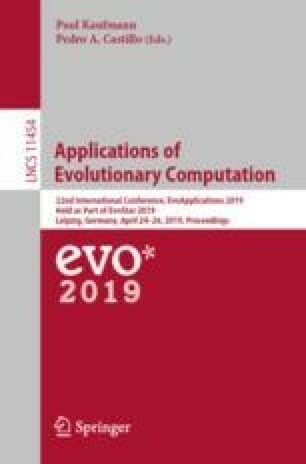 This paper investigates an evolving population of self-taught neural networks – networks that can teach themselves – in a shared environment. Experimental results show that learning presents an effect in increasing the performance of the evolving multi-agent system. Indications for future work on evolving neural networks are also presented. This research is funded by Science Foundation Ireland under Grant No. 13/IA/1850.